TV vendors are rolling out more affordable large-size 4K2K TV sets in North America ahead of the busy Christmas shopping season. Growing demand for the ultra high definition (UHD) sets is expected give a boost to Taiwanese suppliers of such TV panels, industry sources predict. Vizio, the second-largest TV brand in North America, launched its 50-inch 4K2K LCD TVs priced at just US$998 through Walmart. The brand's 55-inch 4K2K model is priced at US$1,399. David Hsieh, vice president of NPD DisplaySearch Greater China, pointed out that Vizio's sub-US$1,000 4K2K TV is causing waves in the segment. Vizio is the No. 2 LCD TV vendor in North America with a brand image slightly behind Samsung and LG, but ahead of Chinese counterparts. Hsieh said Vizio's move is expected to force Chinese brands to lower prices for similar models. The lower pricing is expected to make 4K2K TVs a major focus for vendor promotions and drive sales higher during the Christmas sales season in North America. NPD DisplaySearch forecasts that some one million 4K2K TVs will be sold in North America in 2014, and the annual volume is expected to top some four million in 2015. In China, the annual volume is expected to hit nine million and 17 million units, respectively, this year and in 2015. Vizio shipped some 6.4 million LCD TVs in 2013, up 18% from the previous year, and the volume is expected to rise 10% this year to about seven million units. The American TV brand currently contracts mainly Taiwanese assemblers to produce its models, including AmTRAN Technology, Co. Ltd., Hon Hai Precision Ind. Co. Ltd., Wistron Corp., and TPV Technology Ltd. Vizio used to purchase more than 50% of its needed TV panels from LG Display of South Korea, but the company has been increasing its panel procurement volume from Taiwan in recent years. This year, Vizio's panel procurements from Taiwanese suppliers, including AU Optronics Corp. (AUO) and Innolux Display Corp., are expected to outstrip 50%. The firm also plans to begin purchasing smaller TV panels from Chinese supplier this year. Vizio's super-large TV panels, including 70-, 80-, and 120-inch sizes, are supplied by Sharp of Japan. Vizio launched 50-, 70-, 80- and 120-inch 4K2K LCD TV models this year. 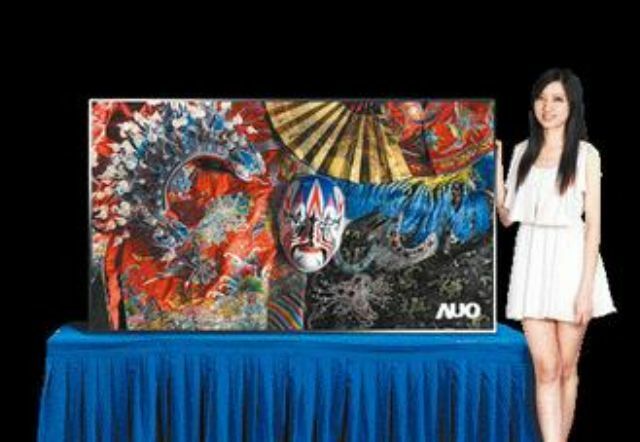 Taiwan-based AUO and Innolux supply the 50- and 55-inch panels. Industry sources said that the 4K2K TV sales push by Vizio should boost the revenues and profits of the two Taiwanese panel suppliers. AUO and Innolux are forecast to lead 4K2K TV panel shipments worldwide this year, according to NPD DisplaySearch. The market research firm pointed out that 4K2K TV display panels have become increasingly available and affordable to TV manufacturers. The two panel makers are expected to have a 58% share of the market in 2014, followed by South Korean manufacturers (Samsung Display and LG Display) with 25%, and Chinese manufacturers (China Star and BOE) with 14%. There remains a significant difference in strategy between Chinese and global brands, NPD DisplaySearch said. Chinese brands are aiming to sell 4K2K TVs at a small premium in their domestic market, while global brands want to maximize image quality. Some panel makers are promoting reduced-specification 4K TV panels to lower cost and increase shipment volume; however, this strategy might not fit well with top brands aiming to position 4K TV as a high-end segment sold at premium prices.